Happy Thanksgiving Background With Colorful Autumn Leaves And.. Royalty Free Cliparts, Vectors, And Stock Illustration. Image 48711638. Vector - Happy Thanksgiving background with colorful autumn leaves and a pumpkin. Vector. 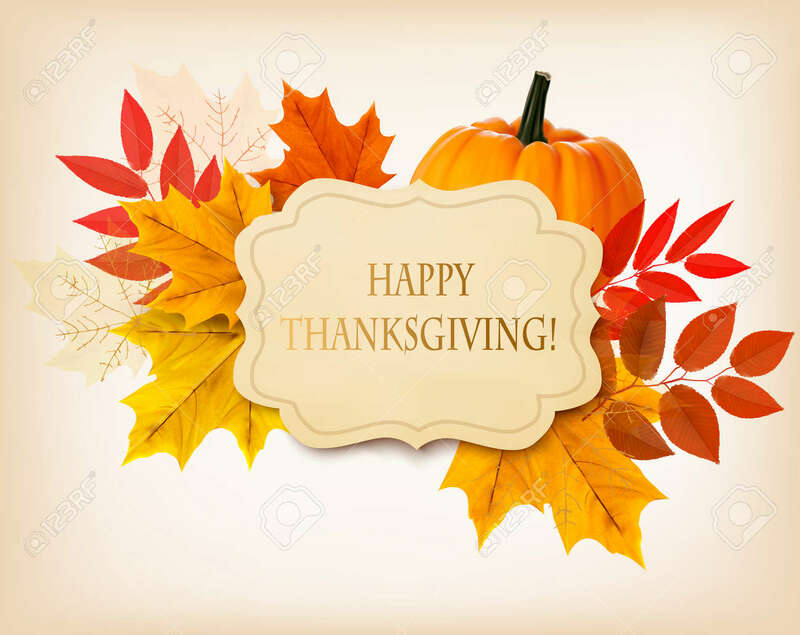 Happy Thanksgiving background with colorful autumn leaves and a pumpkin. Vector.